My Father – John Banks built a career out of bashing Ladbrokes Chairman Cyril Stein, who spent the companies’s cash trying to put JB out of business. Standing horses for some breathtaking amounts, such as the £110,000 liability on Prince De Galles for in the 1970’s Lincoln. No computer to guide – just an experienced clerk and his pencil, – a head for figures and balls they wheeled in after him on a wheelbarrow. The Old Man knew a thing about betting. He told me jockeys were the worst tipsters on the planet- This still holds true. 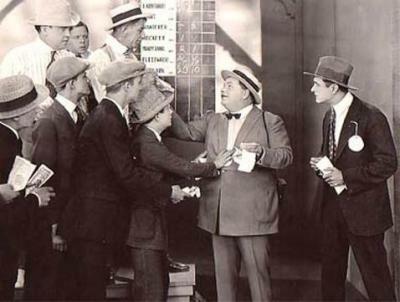 Of course the old time jockeys used to peddle their wares to Bookies. Always looking for a few quid for tipping one they were on, that’s how it worked . Unfortunately they were given to tipping EVERYTHING they mounted – eventually one would win and the hand came out! One meeting at Newmarket, as I sat with him in the Rutland Arms a small jockey who rode occasionally for my Dad walked over, – we’ll call him Teddy Brewster shall we? So he walks over to the Guv’nor, holding court. ‘Got one for you tomorrow John’. The old man cast him a baleful look. ‘Teddy, Leave me out will you, everything you’re on is off for it’s life’ The little fellah smiled and skulked off. Years on, I remembered this story, having done both right and left Bollock on one at Goodwood. The head lad of the particular stable’s favourite having told me it ‘had been working badly.’’ It hosed up by 13 lengths. I haven’t seen him since. Odd that. He had his own horses. And of course he wasn’t above a gamble on them. At Wetherby one cold winter’s day he had the favourite which according to the form could only be bested by one other animal. 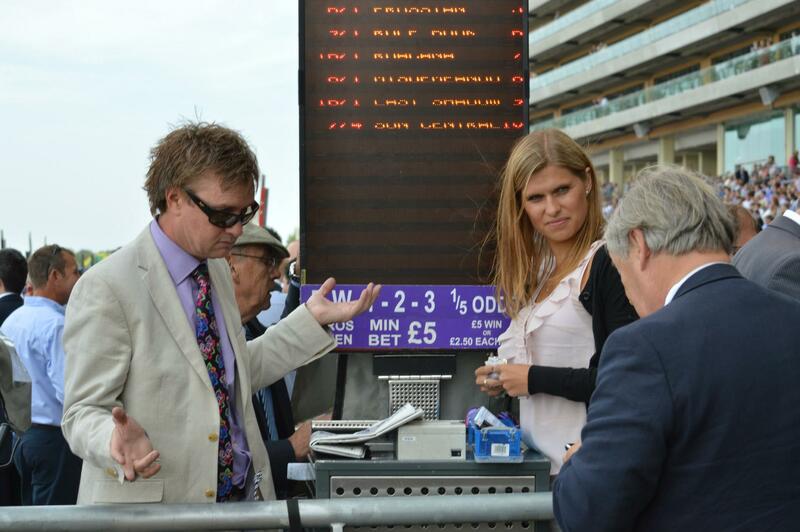 Of course as the race approached, the other Bookies watched nervously to see which one he would be backing. With ten minutes to go, he sent his team out to back his own horse at 7/4 – ‘get down the back line and take up every penny available’ – off went the lads. The ring exploded as his men rushed about asking fiddlers for £7000 to £4000. Knowing full well nobody would lay him much more than a hundred in the back lines. The price collapsed as the second favourite drifted to 5/2. Helped by one John Banks shoving the price out vocally. You’re ahead of me here? Yes? Well of course his own horse wasn’t off a yard and Teddy knew future work depended on getting this one just right. Unfortunately for Teddy Brewster , the Old Man’s horse would have won the race had he been pulling a tram, and he struggled to keep the head in as he cantered all over the second in, -these days one would joyfully have bet it at 1.01. Give him top marks for skill as it got beat a neck and the gamble was landed, to groans in betting shops around the land. Teddy dismounted from the confused beast lathered in sweat – and that wasn’t from his exertions going forward.. Honestly I appreciate you won’t believe me because all Bookies are CROOKS and VILLIANS and we NEVER lose – I have never involved myself in the soft underbelly of the sport. Although I’m super aware it’s mush between the ribs and we don’t mention it at parties. There’s a reason why I don’t bet at Wolverhampton. It’s called the ‘lay’ button. The plague on fair play. Some folk reading this will assume all racing is crooked. And that’s certainly not true. A journo asked me this morning if I felt the sport was in a worse state now in integrity terms than it was in my Dad’s day. And I give you the same answer I gave him. The lower the prize money, the more low grade racing we put on, – the more connections will be out of pocket for keeping and racing horses. By extension stables will struggle for owners. All will be tempted with record low levels of prize money in many races to cheat. With the advent of exchanges to boot, and a BHA struggling to on 1548 fixtures on a tiny integrity budget-then with such a heady mix I unhappily conclude racing is in the worst state in its history as far as the security of racing is concerned. Those advocating the current level of racing – with so many poorly funded races, should consider this before they press on with this much racing. Credit and internet betting is my core business these days, as the on course market only survives on trading- and whilst I accept it’s possible to massage a profit at Wetherby on a cold Tuesday afternoon by taking £20 and passing £18 back to the exchange – I just can’t be bothered. My office runs in huge winning or losing cycles, and takes over 60% of it’s business on horse racing. That’s distinct from a company like Ladbrokes, who might take half that figure as a percentage of revenue. Is it an easy game? Well, of course not, or the land would be riddled with independent bookies. Fact is the little bookmaker shop numbers declined by a staggering 17% last year alone. It didn’t headline the racing press, nor the networks. I expect if we had an advertising budget like Coral, I’m sure we would go around telling everyone to ‘stick one on it’ – they’re a class act. Punters are a strange breed. There’s the track novices who stand in a crush at Cheltenham betting on a 24 runner handicap (remember them?) as you yell at everyone, over and over, to only wager giving the horse number. ‘50 pence each way on Basher Bilk please’ He profers a fifty pound note. He thinks he’s doing me a favour with that pound. Wouldn’t buy me a racing post. I wonder why they’d wager less than it cost them to park? Anyway we take the bet and Naomi shoves him away with violence. 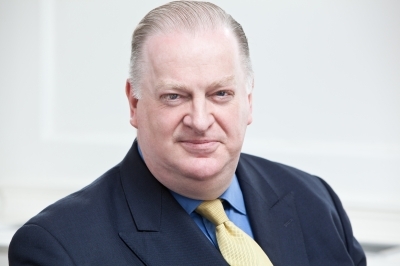 News reached me this week of the departure of Ralph Topping as CEO of WIlliam Hill. This will prove a right shock in Betfair Towers – they’ve been eating Ralph’s lunch for years. He’s to be replaced by a his subordinate James Henderson – expect more loving posters of FOBT’s in shops given the figures of late. He looks like he hasn’t missed a meal. HSBC have closed accounts held by track bookmakers. Some of these have been operating for over 20 years- without blemish. I suppose HSBC’s excuse for this, frankly disgusting move is ‘money laundering’ concerns, raised recently by the European Parliament. An investigation that came to nothing I should add, but probably cost a bit in lunches. Money laundering in a ring taking pennies- what a joke. It’s a bit rich – a Bank fined over 6 billion for money laundering for drug cartels in Mexico and for misleading customers with its sales to close down accounts with spotless records. No pinstripe suit graces Wormwood Scrubs. I arrived back this week from a few days away to find the industry betting 19% overbroke on the Eclipse. Led by Coral – who decided to offer The Fugue at 4/1 instead of the industry leading 9/4 quotes elsewhere-t include exchanges. Supporters of Racing. Yes yes. The same company entertaining the great and the good in their considerable hospitality offering at Sandown. That’s how it’s done. Anyway the great race- The Eclipse that is, proved a real tonic to the sport and I don’t mean the price, with old Mukadram – one of the most honest horses in racing running the legs off of the field. These are the moments. 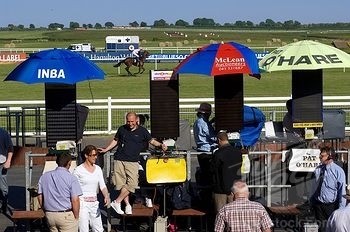 Reading one punter’s rather accurate quote – ‘it’s the Bookmakers who have created the arbing and bonus environment. If we take up more than two or three offers and don’t bother with anything else- all of a sudden we’re Arbers!’ I had to smile at that one. 10 out of 10. Casino Operators sort Punters into broad groups these days. Bonus Junkies, Arbers, traders, ‘Value seekers’, Morning Price specialists, In running thieves, free bet whores, homeless, Gambling Commission 16 year old entrapment plants, racing journalists (Lay), mugs, super mugs, habituals, FOBT obsessives and casino muppets. Which one are you? 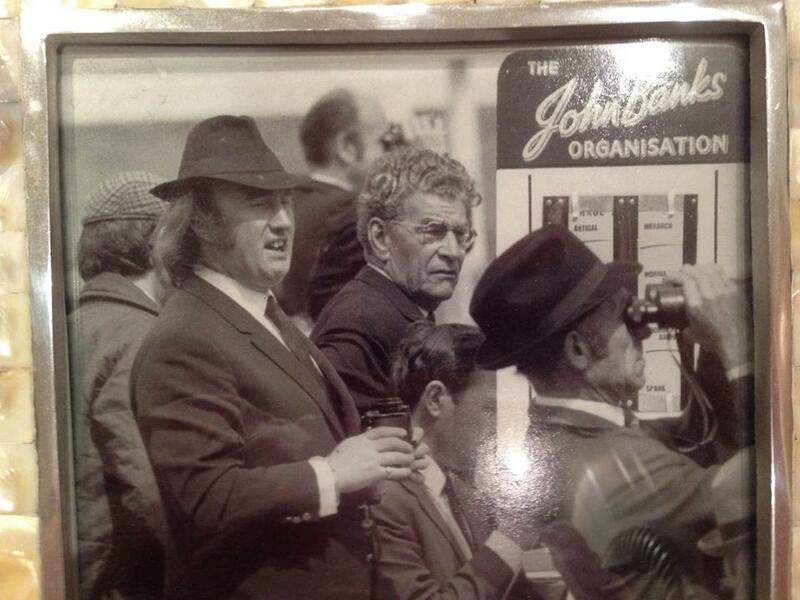 My first serious wager when I took over the Old Man’s business was £4000 on a 7/4 chance at Newbury. Pre-exchange days of course. These days the same thing would be 6/1, laid for it’s life… Ridden by Micky Fitzgerald. I had exactly £600 to my name, – it was Old Style Bookmaking. That’s to say lay the bet wearing your running shoes in case it wins. I went to Newbury and ran about putting £2400 back. I still stood it for more than I could afford, but I’ve always been a bit that way! The favourite cruised all over it and that was that- I was off in the shoes of the fisherman. The biggest wagers I’ve ever stood were on Kuato Bloody Star at 7/4 and Wichita Lineman at 9/2 at Cheltenham, on the same day from a firm who was well behind with me at the meeting. I had my shooting boots on. So did that irritating git McCoy. Some people view him as a God. I wish he’d retire and leave me in peace. Doing a quarter of a million on one Friday at Cheltenham was the low point in my career – I think it’s fair to say. I never said I was any good at the game, but i learned to stand a bet. Dad bet mostly on the rails, in those days an environment of serious layers. Often standing next to Stephen Little as they sucked up the liquidity like a Dyson. It was the Derby and Teenoso was the firm’s choice to shorten. Cyril Stein, – the urbane Ladbrokes boss walks into Stephen betting next door. Now, I think I should explain, Cyril was one of the slowest payers on the planet in those days. His money was his and grappling it out of him was a task Hercules would have abandoned. ‘No problem Cyril – stick it in’ For those of you unfamiliar with this phrase – Steven was inviting the Ladbrokes Chairman to pay up front. Nobody messed with the Little and he had earned his respect for the guts he showed in laying a bet. The place fell about laughing, but I believe Cyril had the last laugh by 3 lengths. ‘Webby’ was equal to John Banks in every department except in my Father’s tendency to over stand some horses. Unlike John Banks- he spent hours carefully researching his ‘cards’ and arrived at the track well armed not only to lay – but to back. They always got on well, but my Dad was rightfully suspicious of any bets he laid to the Yorkshireman. He hadn’t survived so long because he was a mug. Colin bet next to my Father at York. ‘Wait a minute Dad, it’s still 6′s everywhere, I can dump it? ‘ I says hopefully. ‘Hedges grow in gardens.’ That was it. The no win bet. If it got beat – No comment. If it won, I was all the buggars, useless no good for nothing half witted brainless Son of. Don’t need to tell you. The brainless one weedled his way through the entire pack, this way and that, emerging to a stunned rail to lead in the last furlong going away. Not a word from Webster. Discretion the better part of valour. I sensed the Coral wagons circling to last week’s report, and the support it received from so many concerned punters and Racing folk, for which I thank you.